Ok, that’s all great and all but all I really care about is watching Billy Bob Thornton chew some scenery and the bear chew on some heads. 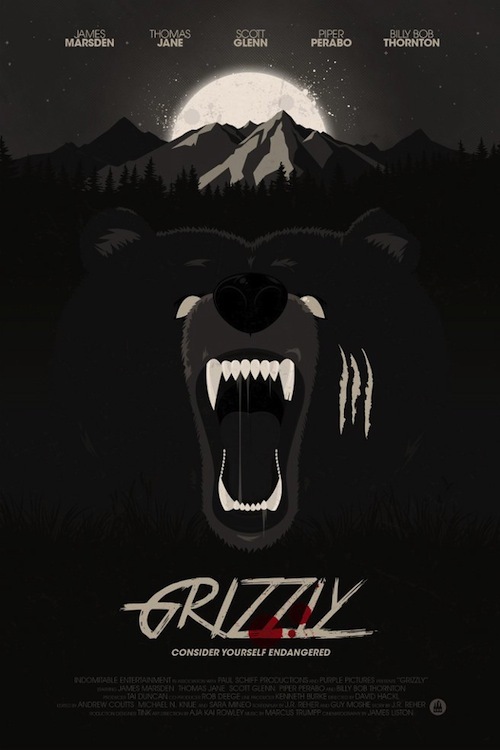 Looks like from the trailer that we’ll get both of those things, so stay tuned for more info and a release date on Grizzly soon! This entry was posted in Feature, News and tagged 1976 horror movies, best killer bear movies, billy bob thornton, billy bob thornton grizzly, cult horror movies, dirty horror, feature, grizzly 1976, grizzly 2014, grizzly bear horror movie, grizzly bear movie, grizzly cult horror, grizzly dvd, grizzly horror trailer, grizzly james marsden, grizzly piper perabo, grizzly scott glenn, grizzly thomas jane, killer bear movies, news by Dirty Horror. Bookmark the permalink.